With just 9 days to go until Christmas here is the final installment in my Christmas Gift Guide! It's the start of the last main shopping weekend before the big day and the perfect time to pick up those last few gifts! 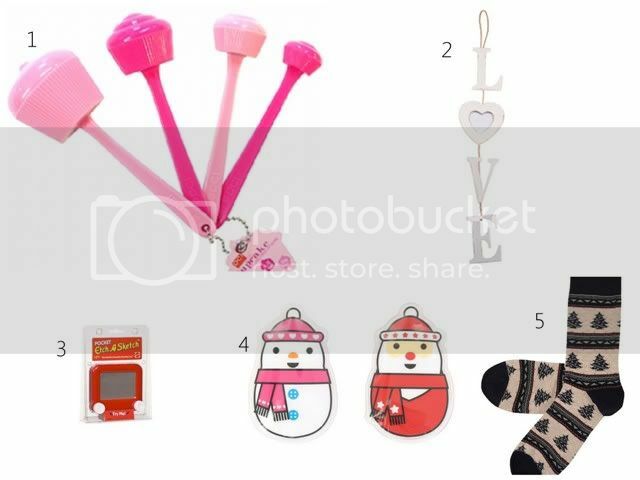 This week I'm looking at stocking fillers, my top little gift ideas all under £10.00, so ideal for those on a budget. The selection includes ideas suitable for both guys and girls and some novelty gifts perfect for those who always seem tricky to buy for! I hope these suggestions inspire and help with your last minute shopping dilemmas! 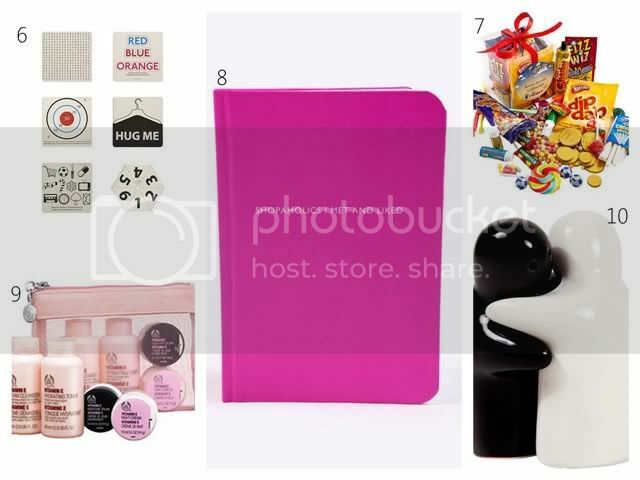 If you're looking for ideas on what to buy for your Secret Santa, Top gifts this year for Girls or you're stuck for what to get the Men in your life check out my previous Christmas Gift Guides from the past couple of weeks for lots of suggestions! Are you heading out Christmas shopping this weekend? 9 days to go??? Don't remind me! I still have so much to do. pretty much want this all! hahah! those salt and pepper lovers are just adorable, Caroline! Gorgeous picks, I'm dying for the Topshop nail art pens! Great reccommendation of the Topshop nail art pens, they are awesome! Emptying a stocking is always such an exciting part of Christmas! This is a great gift guide! Those cupcake measuring spoons are beyond adorable. And I would love that notebook to fill with inspiration! But my favorite item here is that pair of darling polka dot tights. They're gorgeous! 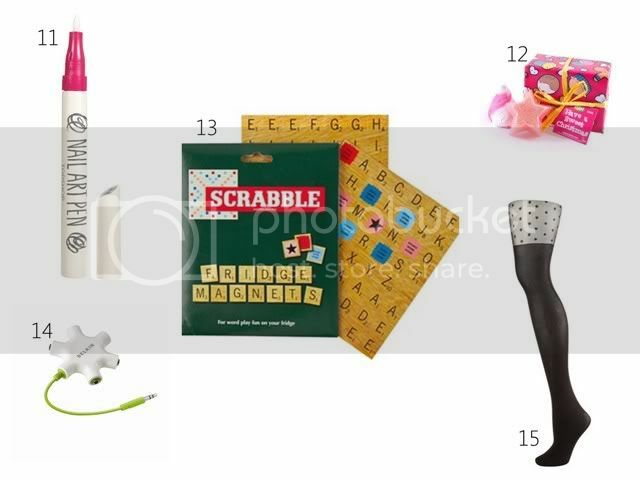 The scrabble set is cute, I love board games as presents ! I will be doing some last minute shopping I'm sure. I love the look of the topshop nail art pens - they look really easy to use too, so I wouldn't be worried about giving them to someone as a fun gift who wasn't so in to nail art. I love the cupcake measuring spoons! And the Shopaholics I've Met and Liked notebooks. I had some others from that range on my DIY Christmas post but haven't seen (maybe didn't notice) that one! OMG I WANT THEM TIGHTS!